It's apparently a big week for silver screen adaptations. Yesterday we heard that Michael Fassbender would star in an upcoming Assassin's Creed film, and today, we learn we're getting a Deus Ex movie. And not just any Deus Ex story, but specifically Deus Ex: Human Revolution. Magneto will be killing evil Templars in the upcoming Assassin&apos;s Creed movie. Eidos and Square Enix have announced a deal with CBS Films to adapt the 2011 hit game. The Eidos Montreal team behind Deus Ex: Human Revolution will reportedly be working closely with CBS Films on the project. In a statement, Terry Press, co-president of CBS Films, said: "No one knows Human Revolution like the team that created it, and we look forward to working with them from day one to make a film adaptation worthy of the Deus Ex name." The two producers assigned to the project, Adrian Askarieh and Roy Lee, have widely different histories. Askarieh produced the 2007 Hitman adaptation, and is also working on a Kane and Lynch adaptation. Lee, meanwhile, co-produced How to Train Your Dragon and was executive producer on the American remakes of The Ring and The Grudge. There's no word if it's connected to the previous Deus Ex short film that made the rounds earlier this year, but either way, that gives us a taste of what Deus Ex might look like, Hollywood style. 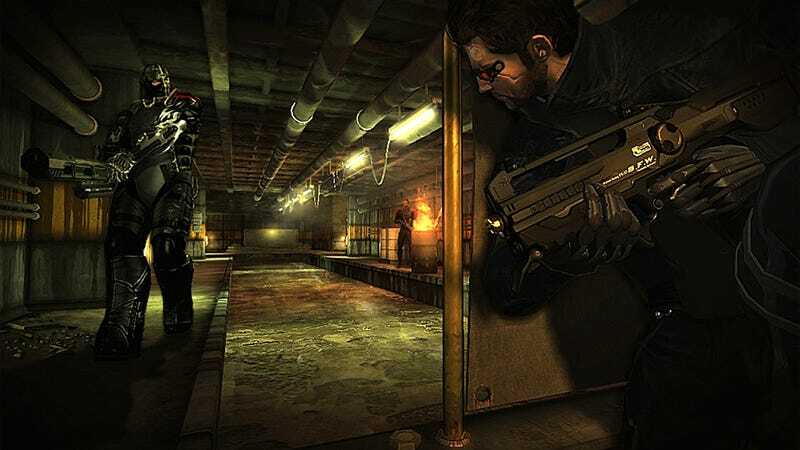 Given how strongly the art aesthetic of Deus Ex: Human Revolution was inspired by films like Blade Runner, it somehow makes sense that the series would be coming full circle and going to film. And even if the movie is terrible, at least it will have one thing going for it: the audience won't have to play the boss fights.